Scott Hartnell, who recently played in his 1,000th NHL game, has a message for hockey fans, even the ones who don’t happen to be a fan of his. In the aftermath of a cherished milestone, one that his parents, three siblings and a mix of other family and friends witnessed live, the veteran forward from Lloydminster, Saskatchewan was both contemplative and grateful. Over a 14-year career that began in 2000-01, Hartnell has scored 263 goals, recorded 308 assists for 571 points. Selected sixth overall in the 2000 draft by Nashville, he played in 436 games with the Predators, before he was dealt to Philadelphia in 2007. The left-winger would skate in 517 games for the Flyers. Hartnell, who played his junior hockey with the Western Hockey League’s Prince Albert Raiders, made his NHL debut on October 6, 2000, against the Pittsburgh Penguins, in a game played in Tokyo, Japan. When he hit the four-digit mark in games, a home contest against the Los Angeles Kings, he became the 259th player to achieve the feat. Admittedly, he’s the type of athlete you prefer to play with rather than against. But, for the forward that has seven 20-goal campaigns to his name, the one who launched the #HartnellDown Foundation (created to assist charitable endeavors that support hockey), it’s all about doing what it takes to get two points. Love him or loathe him, Hartnell’s passion for the game is undeniable. It’s obvious how his friends in the game feel about him. To celebrate his major milestone, Los Angeles forward and fellow Saskatchewan native Jarret Stoll presented Hartnell with a special memento to mark the occasion, something the latter shared on Twitter. And, yet another reminder that Hartnell can feel the love - whether you happen to like him or not. Scott Hartnell of the Philadelphia Flyers recently released ‘Hartnelldown,’ a children’s book he co-authored with his sister Kyla. See exclusive photos from the commercial shoots starring Scott Hartnell, Matt Greene, Jarret Stoll, Jonathan Quick, and Dustin Brown. 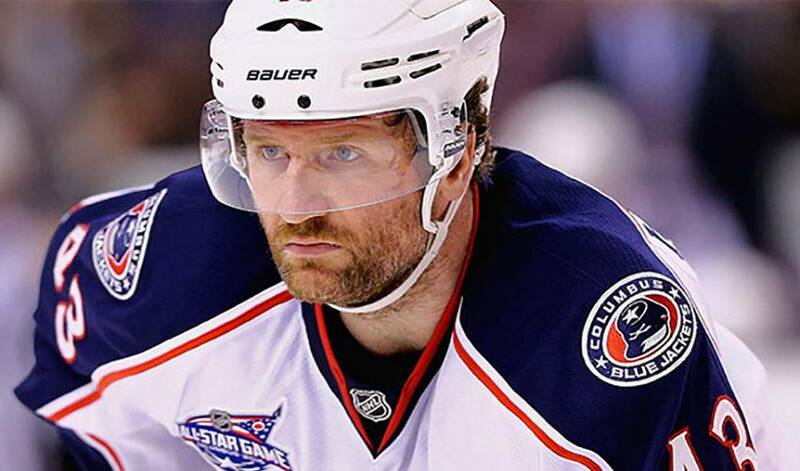 Scott Hartnell brings a full-throttle approach to his hockey life.